xa - Small Business Accounting Services » XA Limited !! Looking for a small, friendly, no-nonsense Xero accountant who can offer the personal touch? 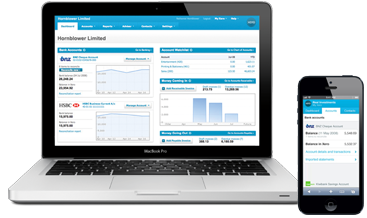 Thanks to Xero, the dedicated web-based computer accounting system, you choose the extent of input you require from us and how much you do yourself. A monthly accounting service will take care of all your GST returns, annual returns, tax planning and financial statements. Regular financial and cash-flow reports will be available online 24/7 ready to view or download whenever you want. Check out our range of services and price guide here to see just how affordable we are. Better still, talk to our team now to discuss what is best for you and for an obligation-free quote. "Never really accurately knowing, from one month to the next, how my business was performing was my main accounting bug bear. I could never get a straight answer from my old accountant. I only really worked out how my business was doing several months after the 31st March each year. Since becoming a client of XA accounting these issues have evaporated. I receive monthly updates clarifying where my business is "at", gaining that real time knowledge that has helped my business grow. This accounting clarity has gone up another level now Xpress accounting has embraced "Xero". I heartily recommend XA Accounting & Xero." "This savvy company manages to keep the tax and GST processes understandable, hassle-free and absolutely professional. They are able to think outside the square and are never to busy to return calls and reassure. Simply my best discovery in over twenty years of self employment." "I am living in Switzerland and own a house in New Zealand. I am very grateful and happy to have XA Accounting Ltd taking care of all my tax issues in a very friendly, personal, professional and very reliable way. Thank you!"